GS News – Xbox Gets New Leader; You Get More Free PS/Xbox Games! Find out which games are free this month with PS Plus and Xbox Live Gold, who the new head of Xbox is, and why The Witcher devs love the new consoles! The chilling cry of a spirit told me to move off the trail and head into the woods, wherein lay the next clue in my investigation. What would I find this time? Perhaps the remains of a skeleton, weathered by the elements, its bones shattered by some malicious deed. Or would it be broken arrow shafts, left behind after an intense and bloody battle? In my eagerness, I made a grave error. My sudden movements were careless, as confirmed by the arrow whistling through the air. It struck its mark, and I attempted to limp to the safety of the forest. A coarse bellow drowned out the sound of my footsteps. Bursting through the brush charged a creature in the shape of a Spanish conquistador, its armor accented by red, from the belt, to the undershirt, to the burning eyes. It looked like the spirit would have to be patient for just a little while longer. The flash of a blade caused my screen to erupt in crimson. Welcome to the New World. You are not wanted here. Red is usually the only color allowed in the dangerous world of Betrayer. The year is 1604, and you begin your journey stranded, facedown on a beach in Virginia. Resting on the rocky shore is the remains of the battered ship that carried you to this land. Betrayer is seemingly devoid of life, if not for the calls of unseen birds and buzzes of insects. On occasion, a wind blows across the terrain, whipping grass and bushes into an energetic dance, strong enough to bend the tops of trees to its will. Like a fever dream, the environment is stripped of color, save for red, and in the distance, trees and structures melt into the intense white light. It is a dangerous, desolate world, and the reason you are here is only the first of the many mysteries that await. You venture through this unsettling landscape battling demonic conquistadors who patrol dirt paths, awaiting trespassers to enter their midst. Battles are fought using a variety of 17th-century weapons, including bows, powerful flintlock pistols and muskets, and a deadly tomahawk. Enemies don't go down easily, as proven by many of my early skirmishes. The conquistadors are heavily armored, and it takes practice to learn how to properly take them down. I felt lost during my first several fights. My arrows seemed to have little effect against the charging soldiers, sometimes sticking and other times deflecting off the plating and lazily falling to the ground. Stalk your prey from the tall grass. But it didn't take long to learn the ropes, and soon I was hunting in the tall grass just off dirt paths, taking advantage of the intermittent gusts of wind to hide the sound of my footsteps as I stalked my prey. Bows and crossbows allow you to stay hidden and strike without making a sound. When stealth fails, the stopping power provided by an array of flintlock pistols and muskets is in order, but they come with a caveat. True to their history, flintlock weapons are powerful, but they're slow to reload, and when there's too much distance between you and your target, they have a chance of missing. This creates tense moments during combat when you must stop and line up your shot as enemies rush toward you. Betrayer shares many trappings with From Software's Souls series. Loot, the game's currency, is found in destructible boxes or picked up off the corpses of defeated enemies. Taking damage is inevitable, and healing requires taking a swig from a water flask, which has a limited number of uses before depletion. You must refill it at a water barrel located in specific locations, such as forts, if you desire to live long in the wilds. Dying in battle warps you back to the last base you discovered, forcing you to drop your loot in the place you fell. If you don't recover your lost loot before you die again, it's gone forever. And much like From Software's role-playing game epics, Betrayer does not offer a clear-cut path to your destination. The world is open to explore, and within it are hidden treasures, as well as clues that offer a window into the lives of the settlers who once populated the colony. Like a fever dream, the environment is stripped of color, save for red, and in the distance, trees and structures melt into the intense white light. Clues often take the form of red-bordered scraps of paper, and written on them are the thoughts, hopes, and darkest fears of the missing populace. You get an understanding of the anxiety of those who lived in English settlements, as they withstood attacks by soldiers and natives. There are talks of shaky truces and broken family ties, whispers of a deadly blight, and rumors of shadowy figures stalking farmland and leaving dead crops behind. The scraps fill the missing pieces of the overall puzzle, but leave enough empty spaces for you to inject your own theories on how the people ultimately met their fate. The colorless land first introduced is merely the surface of a deeper world. Each area includes an ominous bell that, when rung, transports you to another plane of existence: the Otherworld, where angry spirits take the form of skeletons with bright red eyes, or shadowy demons crowned with silver skulls and armed with long talons. Also wandering throughout this tainted land are wraiths, the lost spirits of those who died in the living world, unable to cross over due to anger or guilt. It is here in the Otherworld that the game becomes truly unnerving. The world is split into sections with fast travel points. The developer is made up of members from Monolith, creator of the F.E.A.R. series, and the influence is apparent. Betrayer is steeped in tense, edge-of-your-seat moments for which Monolith was known. The game's soundtrack is the wind that whips through the environment, the guttural growls of enemies, and the pounding of your heart as you desperately line up your shot before being overtaken. But in the Otherworld, the oppressive atmosphere is on a whole new level. The overwhelming darkness is nearly suffocating, and the ghastly cries of wraiths from deep inside the impenetrable black shroud chilled me to the core. With the undead demons that haunt the black forest and the cursed wooden totems that burst through the ground with a shrill scream, the Otherworld is a frightening and harsh environment. Your role in Betrayer is not unlike that of a paranormal investigator, except with results. In the living world, you examine scenes of violence, looking upon pools of congealed blood and digging up buried objects, such as corroded pendants and ruined scabbards. You bring evidence to wraiths in the Otherworld, who slowly begin to remember their past lives, as well as the atrocities they committed which led to their imprisonment. The truth of what occurred in the colony is slowly unraveled through your detective work, with many early mysteries taking time to solve. What robbed the land of life? What are the ash figures that populate some of the forts? And who is the enigmatic maiden in red, to whom you must report the results of your investigations? Betrayer is split up into several large destinations, each including points of interest, such as hidden cabins or villages. Discovered locations act as waypoints and can be fast traveled to at any moment when you are out of combat. Every area contains a fort, or at least some sort of base of operations, where you can fill your waterskin and exchange loot for new weapons, ammunition, and charms. The charms add status boosts, such as decreased reloading time or increased health, but the amount is diminutive. For example, a crude charm of swiftness increases your speed by a meager four percent and costs 300 loot. The next tier up boosts that to six percent, and costs twice as much. The difference between the charms is negligible to the point where it's doubtful you would even notice a change. I ended up not purchasing any charms, keeping only the ones handed freely at the start of my quest and replacing them with more powerful versions found in various hidden chests scattered throughout the game. The game allows you to add color if monochrome isn't your thing. The artificial intelligence powering enemies is unpredictable, straddling the line between aggression and ambivalence. In many adventure games, alerted enemies give chase for only so long before returning to their post. The same could be said for the foes in Betrayer, but how far they will give chase is not abundantly clear. At times, you can run far enough and hide, forcing enemies to give up. Other foes in Betrayer are exceedingly aggressive, however, and pursue you to the end of the map, regardless of the steps you take to keep them off the scent. This issue quickly leads to frustration, especially considering that many enemies can match your running pace. It often takes too long to turn, aim, and fire, so in these moments, your choices dwindle to either running all the way to a water barrel and fighting near your source of health, or accepting the loss and hoping you make it back to your loot unscathed. Enemy variety is unfortunately sparse in Betrayer, and even as you near the end of your 10-hour quest, the same foes still bar your path. During this time, however, I wasn't the same adventurer I was when my enemies and I first clashed. My weapons were far more powerful, fully capable of picking off adversaries with a single shot, abolishing the need to move with caution. The game also begins to get repetitive. The method in which you complete investigations doesn't evolve beyond finding evidence, speaking to a wraith, and repeating these steps until you clear the area. These issues combined caused some dull late-game moments, where I moved through locations unchallenged by monotonous puzzles. Solving mysteries behind the wraiths draws you closer to your ultimate goal. Betrayer allows you to change its stark monochrome aesthetics by adjusting a set of sliders to tweak color levels to those of typical adventure games. But doing so removes the game's air of mystery, and it is the mysteries that make Betrayer such a compelling experience. A lot of riddles are solved by the end of the game, yet even as the final curtain falls, many more questions are left unanswered. Nevertheless, with such questions still lingering, the macabre, eerie world of Betrayer is worth the time spent. Spirits of the damned cry out for your help, and you should heed their calls. The Longest Journey tells the sweeping story of an art student who is charged with restoring the balance between two parallel worlds. In Age of Conan: Hyborian Adventures, you meet bare-breasted prostitutes and witness tragic murders as you explore the game's lush, low-fantasy environments. The alternate Earth of The Secret World takes the dark myths and covert conspiracies that invade our dreams and makes them real. How obvious, then, that the developer of these games, Funcom, would set its sights on… Legos. OK: I suppose it's not that obvious after all, especially given how another (unrelated) massively multiplayer Lego game came and went in the blink of an eye. Lego Minifigures Online, however, is tied to a specific Lego product: the titular minifigures. These miniature plastic action figures are sold in mystery packs, making the experience of opening a new pack either joyous ("Hey look--I finally got Disco Dude!") or sorrowful ("Oh man, this is my third mime, and no one likes mimes anyway."). I'm not much of a minifigure collector, but I do love Traveller's Tales' popular cooperative-focused Lego platformers for their wit and light adventuring, and based on my recent time with the game, I suspect Lego Minifigures Online will capture the same playful essence. That essence has been distilled into a Diablo-esque formula that presents the action from an isometric perspective and has you clicking around to direct your character. Or characters, I should say: while you only control one minifigure at a time, you take up to three different characters into an individual adventure, and can easily swap between them while exploring and fighting whenever you want. In this respect, Lego Minifigures Online is reminiscent of Darkspore, though that is not the only element that reminds me of Darkspore. Just as Darkspore had a Pokemon-like "gotta catch 'em all!" directive, so too does Funcom's game encourage you to add as many minifigures as you can to your roster. Funcom showed bits and pieces of the games Medieval setting, but my hands-on time was spent in the game's pirate-themed areas, where I joined several other press members in a mission to take down a pesky kraken. As you might imagine, making our way to the kraken involved battling the local residents and native beasts, including attack monkeys, warriors wearing colorful masks, and gorgons that looked like refugees from Lego God of War, a game I now desperately want to be made, even though I just made it up. Slashing away at these fantastical forces was as straightforward as could be, and I was flinging gleaming pink stars at pistol-toting pirates in no time. The life of a plumber is one of adventure and excitement. I was having so much fun as the star-throwing fairy, in fact, that a Funcom producer reminded me that I had other characters to play with too, and it's a good thing he did, since it let me see a powerful pair of heroes in action. One of my three adventurers was the fortune teller from Lego Minifigures series 9. The real-life figure holds a giant plastic tarot card in each hand; her in-game counterpart sets these cards spinning around her, injuring the Lego spear-throwers and other enemies that dare venture too close. Yet the fortune-teller is a ranged combatant, so unless I switched to a melee character, I wasn't getting the most out of my medium. Luckily, my trio included a Roman soldier who could barrel into the fray with an energetic charge. To fully maximize damage, I would activate the fortune teller's tarot whirlwind, switch to the guard, then sprint into a crowd of monkeys. Because the cards would still circle my character after I changed to the guard, I could really put the hurt on any enemies within reach. Various minifigures' powers will complement each other in similar ways, and the game will boast over 100 characters on release. I adventured with several of them during my time with the game, and while the fairy was a favorite, I also took to the trendsetter, a Paris Hilton wannabe who fires emoticons from her cell phone. She came in handy during the final battle against the purple kraken, which rose from its watery lair, glared at my party with its single yellow eye, and pounded on us with its limber tentacles. Assembling nearby traps that damaged the creature's tentacles when they landed was the key to victory, though there were other chances before this to practice my building skills. Just as in Traveller's Tales' Lego games, you solve simple puzzles in Lego Minifigurines Online by assembling piles of Lego pieces that hop about like Mexican jumping beans. No surprise: Lego Minifigures is absolutely adorable and bursting with color and charm. Its simple adventuring might be the key to getting kids and parents alike hooked on collecting plastic figurines, both within the game (which will cost you a little bit of real-world money, or an uncertain amount of real-life time) and outside of it (plastic minifigures will come with codes you can use to unlock them in the game). The game is clearly aimed at children and their families, but given how much money I've personally spent purchasing Disney Infinity figures, I can't necessarily discount the possibility that Lego Minifigures Online could pull me in with its cute collectibles. When the game hits open beta this summer, I might find out just how deeply it can sink its hooks. Whether you'd prefer to gingerly hop your way through the decrepit ruins of humanity or dispatch targets with the cold, remorseless professionalism of a trained killer, Microsoft's Games With Gold promotion has something for you. 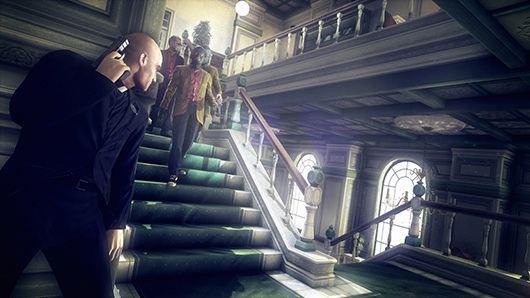 Come April 1, Hitman: Absolution will be available as a free download for all Xbox Live Gold members. Our review awarded Hitman: Absolution 4 of 5 stars, and said that while it has minor flaws, the grim gameplay and glee of assassinating a difficult target overrides any technical issues. Hitman: Absolution will only be available for free until April 16, at which time it will be replaced by Deadlight. This post-apocalyptic platformer, developed by Tequila Works, received 3 of 5 stars in our review. While Jess found certain gameplay elements frustrating, she fell for Deadlight's art design and meticulous world building, and enjoyed the experience overall. As with all Games With Gold offerings, the only requisite for downloading the above games is an active Xbox Live Gold membership. Full details on how to enroll in Xbox Live Gold can be found on the Xbox website. Deadlight, Hitman Absolution join gratis Games With Gold in April originally appeared on Joystiq on Mon, 31 Mar 2014 16:00:00 EST. Please see our terms for use of feeds. Over the past few days, Watch Dogs creative director Jonathan Morin has been deluged by anxious fans asking about a potential demo for the open-world adventure - a demo that, Morin claims, is not in development. "Dude relax, I receive too much tweets," Morin replied to one Twitter user who had repeatedly badgered the developer for an answer. "[There is] no demo planned before release. Sorry for the wait, doing my best," he added. The next day, Morin was asked to explain this lack of a Watch Dogs demo. "Doing Demos take time, the focus is on the game," he tweeted. "You will see more footage before release. Be patient & thanks for your passion." 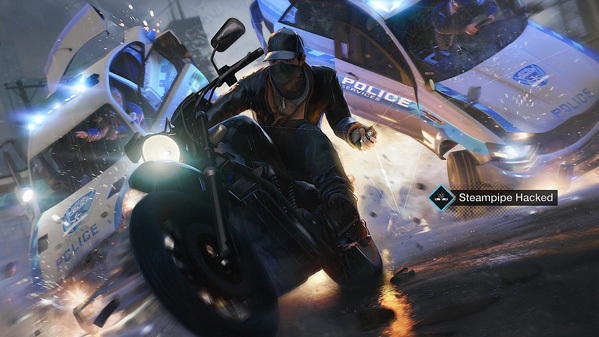 Watch Dogs is slated for release on May 27. It will debut on the PlayStation 3, PlayStation 4, Xbox 360, and Xbox One. A Wii U version of Watch Dogs is also in development, but we haven't heard anything on when that version will be released since Ubisoft delayed the game in February. Don't be on the lookout for a Watch Dogs demo originally appeared on Joystiq on Mon, 31 Mar 2014 15:15:00 EST. Please see our terms for use of feeds. Let's have a beach party! Take a look at some Lego Minifigures Online gameplay. Join Chris Watters and crew as they crash land on a strange planet and fight for survival in Risk of Rain. Given the timing, you might dismiss this as an elaborate April Fool's joke from Google, but you can catch Pokemon on your smartphone using the Google Maps app right now. Though the action-packed trailer above spins it as much, much more exciting than it actually is, an update made to Google Maps on iPhone and Android today lets you search out Pokemon and add them to your Pokedex by searching for them on Google Maps. To start, all you have to do is click on the search bar, then hit "Press Start" right below it. You have an unlimited supply of Pokeballs, and the Pokmemon don't fight back, so it's not much of a game. But Google is pitching this as a race to "catch 'em all," and the winner will be invited to Google's headquarters and "hired" on as the staff Pokemon Master. That last part (and the April 2, 2PM PDT deadline), is probably not true and is part of a larger April Fool's joke that we'll hear more details about tomorrow. But given that Google's put so much time into making an app and mobile Pokedex, it would still be pretty nice if the winner at least got the fancy Pokemon Master business card shown at the end of the video. So, anyone out there find a Mew yet?